It's that time of year where I look back on all the brilliant books I've read during the year and pick a few favourites to share. 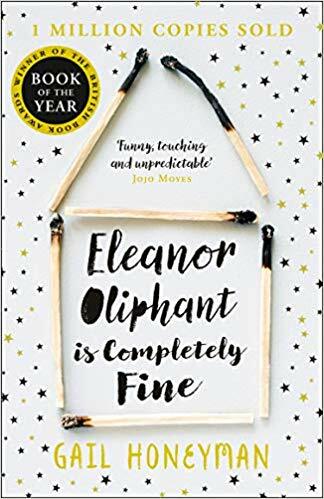 I'd heard so many great things about Eleanor Oliphant is Completely Fine and I was afraid it wouldn't live up to the hype - BUT IT DID. I adored Eleanor and I loved getting to know her, She's quirky and funny but there's also a heartbreaking tale buried beneath her routines. I can't wait for the film release! 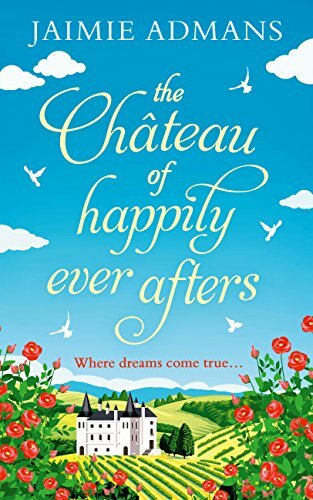 I read The Chateau of Happily Ever Afters during the summer and I loved every single page of it. The chemistry and humour between Wendy and Julian was brilliant and I so wanted them to get together! 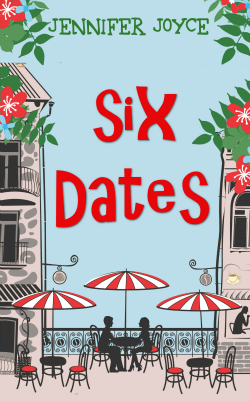 Jaimie Admans' writing style is light and full of fun, so you can relax into it and enjoy the story as it unfolds. 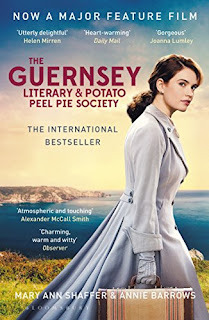 The Guernsey Literary & Potato Peel Pie Society has been out for a while but I only got round to reading this year just before the film was released. 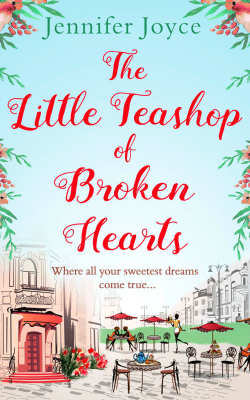 I have to admit that it took me a little while to get into the book, but once I did I was completely hooked and was so bereft when it ended as I just wanted to continue reading the letters between Juliet, her publisher and her new set of friends. I haven't got round to watching the film yet but I really need to watch it! 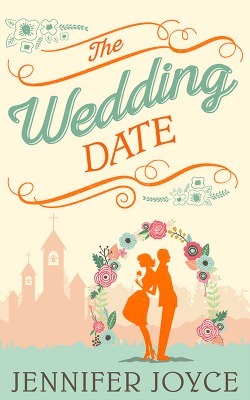 This is the first Kate Morton book I've read, but it definitely won't be the last! 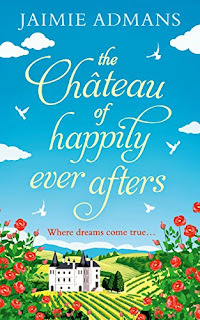 The House at Riverton isn't the paciest of reads but I thought it was such an enjoyable read. 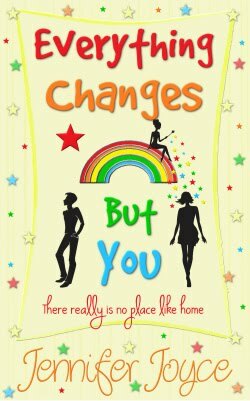 The descriptions were vivid and the story was intriguing. 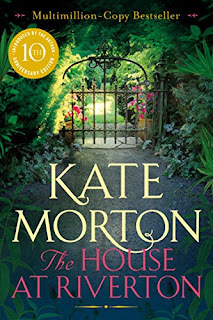 I'm looking forward to reading more from Kate Morton in 2019! I've read a few Rowan Coleman books and enjoyed them, so I was confident I was going to find a great read in We Are All Made of Stars - and I was right to be. 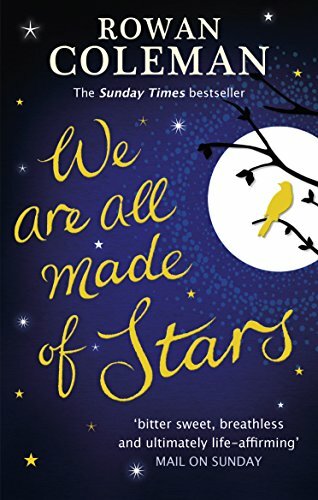 We Are All Made of Stars is heartbreaking at times as letters are passed onto the loved ones of patients who have passed away, but it was also uplifting too. You may need a tissue or two! I had a couple of days off from writing this week as I went to London for the HQ Christmas party. I had a brilliant time, meeting up with Lucy Knott in Manchester so we could travel down together before heading to the News Building for the party. 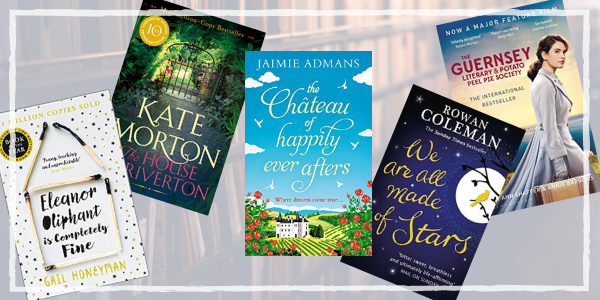 Writing can be a quite isolating as you're in your own head for large chunks of time, so it was great to meet up with other authors and the publishing team. 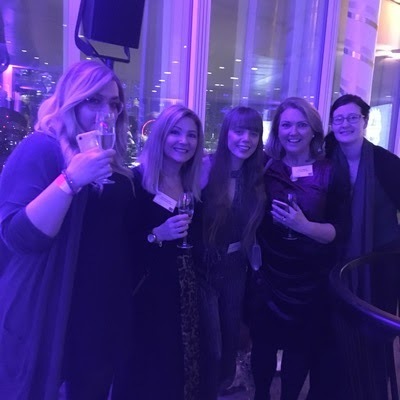 I had the chance to catch up with some of the other HQ authors, as well as meeting old Twitter friends in real life for the first time! 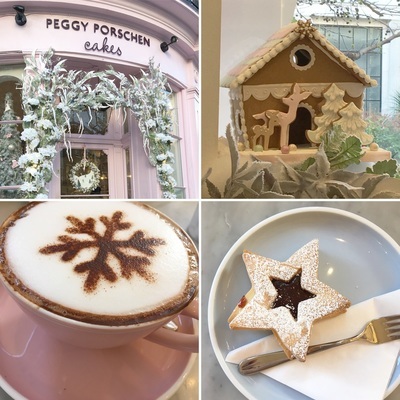 Before heading home the next morning, Lucy and I treated ourselves to hot chocolates and cake from Peggy Porschen Cakes, which was lovely and so Christmassy. Back home again, it was time to get back to writing. My goal was to reach 20,000 words by the time the kids finished school for Christmas, so we could have a nice break together. And I'm pleased to report that I reached that goal today - yay! 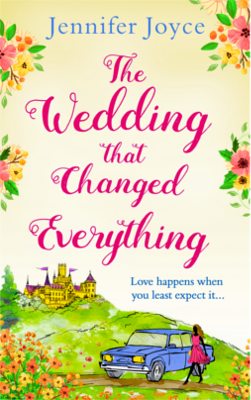 So I''m going to have some time away from the book now and make sure everything is ready for Christmas (mainly tackling the dreaded wrapping of presents) and spend some quality time with the family. In the new year, I'll be asking for help naming some characters, so keep an eye on my Facebook page for more details! 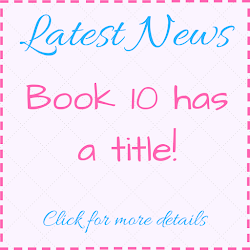 This week, I reached my first word count milestone for Book 10: 10,000 words! There are still many, many more words to come, and they won't all come as easily as this first chunk, when the story characters are new and exciting, but I'm so happy to have reached this stage. 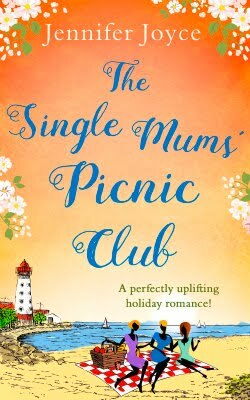 My aim is to reach 20,000 words before the kids break up for Christmas, so I can have a nice break with the family, so I'm half way to that goal. The book is going well so far and I've managed to stick to my 1,000 words per writing day goal. 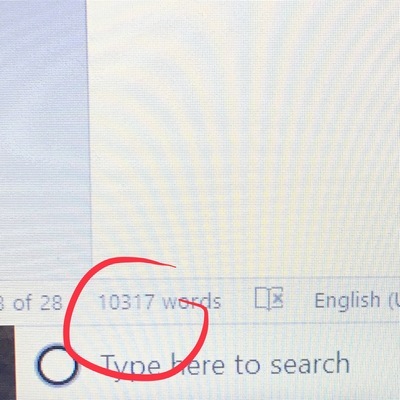 In the past, I've aimed for 10,000 words per week, but I've found this becomes more and more of a struggle the further into the book I get, sucking all the joy from writing it. 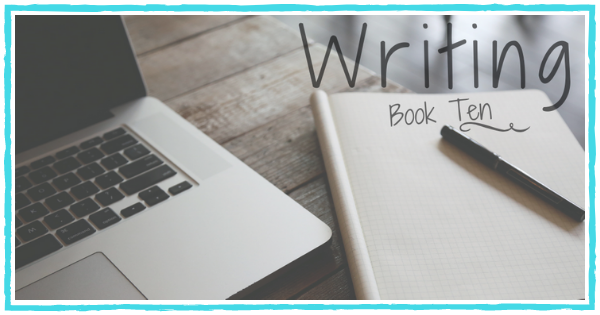 This time, I want to get back to loving what I write, and I think having a more manageable goal in mind will help with this. 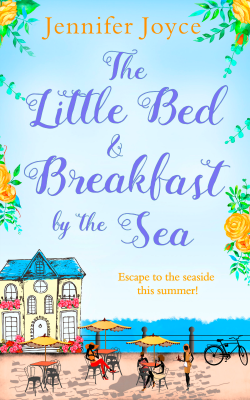 It's certainly working at the moment as I'm loving writing Rebecca's story and I look forward to opening my laptop to continue her adventures each morning. 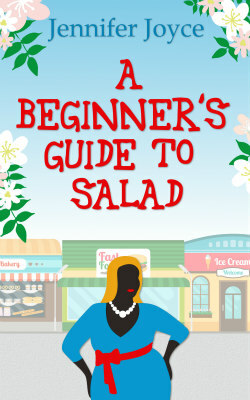 It helps that my deadline is mid-April, so there isn't a mad rush to get the words down! Yes, it's 'only' the beginning of December, but don't let anyone tell you it's too early to start celebrating the run up to Christmas (my family try but they can all bah-humbug off). With this in mind, I've come up with a list of 10 activities that you can do this Christmas - or start right now. Merry December! This list is by no means exhaustive. There is so much fun to be have during the festive season (which is why we have to start early to fit it all in). So go on, fill your festive boots! 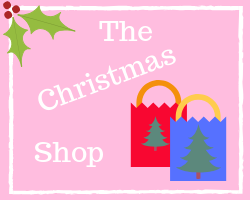 First up on my list is the Christmas shop. Now, this does not mean Christmas shopping for gifts. It definitely doesn't refer to a supermarket shop. Nope, I'm talking about a shop dedicated to Christmas. A winter wonderland of Christmas trees and more decorations than you can shake a candy cane at. I'm lucky enough to have such a shop within walking distance. It opens every September, so you can get your Christmas spirit on really early. 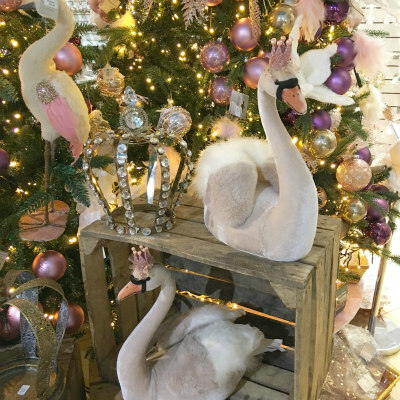 It's every Christmas fanatic's dream, with trees, baubles, ornaments, free-standing nutcrackers, outdoor light-up decorations, talking mechanical reindeer and even crowned swans. Gorgeous! Or you can get your Christmas on at the squillions of Christmas markets that should now all be open. 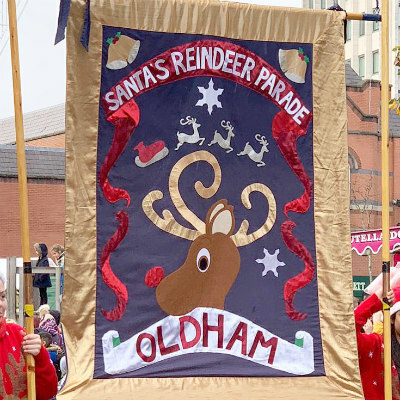 Our nearest Christmas market is Manchester's - and it's HUGE. It's become a tradition of ours to buy chocolate marshmallows from the market (the cherry ones are my fave). 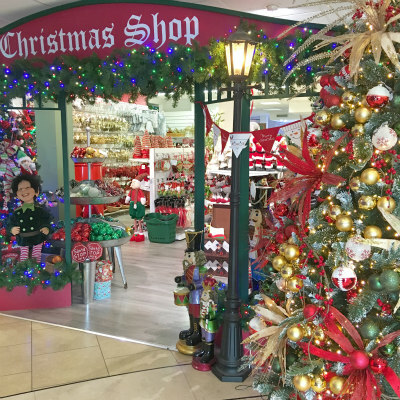 Do you have a Christmas shop near you? Or a fabulously festive market close by? 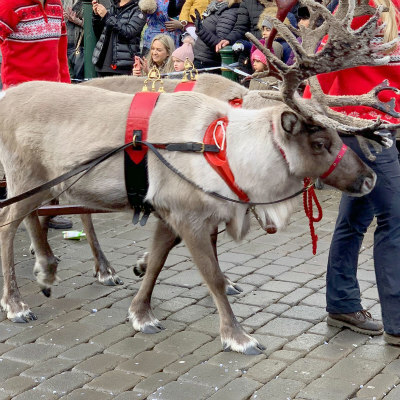 Again, I'm very lucky that our local town has a reindeer parade every year. 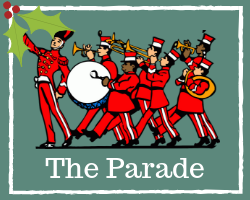 There are bands, festive characters and Santa and his reindeer, as well as a different theme each year (this year it was The Night Before Christmas). Okay, this is something everyone can have a go at. Sort of. 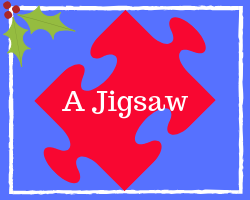 I am terrible at jigsaws, but over the past few years I've felt the need to do a festive one. The first one I did took me four years to complete (in my defence, I only actually worked on it from October to December for each of those years). 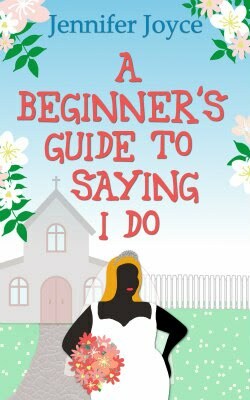 The second took me two years and the third... Well, it ended up in the wheelie bin in a rage. After two years, it was nowhere near completed. Another one everyone can do! 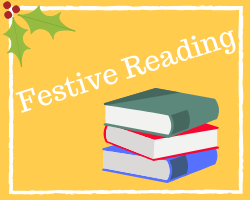 I love a festive read and made a start on my Christmassy TBR pile at the beginning of November (there's no way I'd fit in all my festive reads in one month). 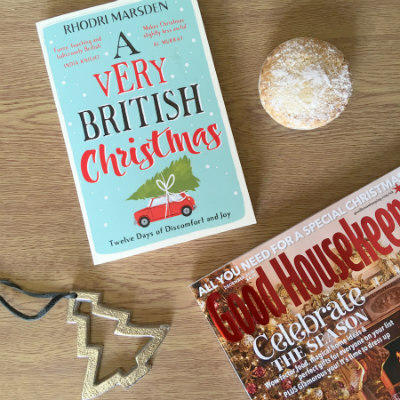 I started off with A Very British Christmas by Rhodri Marsden, which is a humorous look at the way we celebrate the festive season. Since then, I've also read Snowday by B R Maycock and am currently reading One Day In December by Josie Silver. Next on my list is Jaimie Admans' It's a Wonderful Night. 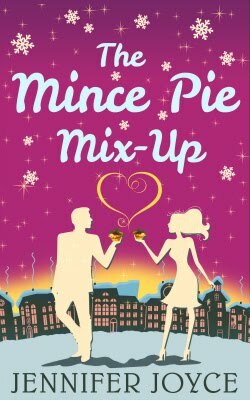 ’Tis the season to be jolly but for Calvin and Judy the usual festive bickering has already begun!Judy’s convinced that her husband has it easy – no glittery wrapping paper, no playground gossip and absolutely no Christmas baking. I LOVE Christmas music, so I'm glad it's now acceptable to listen to it every minute of the day. Okay, so not everybody agrees with the excessive amount of festive tunes I listen to (*cough* my bah-humbug family) but I DON'T CARE. Christmas music is glorious. 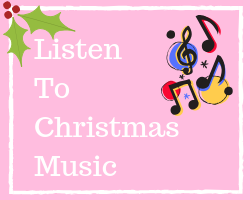 Do you have a favourite festive song? 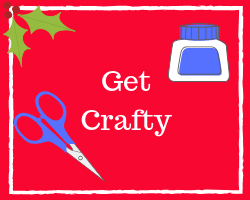 Christmas is the perfect excuse to get crafty! 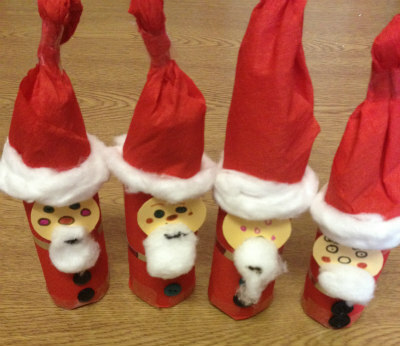 It can be simple things like making paper snowflakes or making Santas out of loo rolls. Or you can go big and try to replicate all the gorgeous crafty stuff on Pinterest (best of luck if you give this a go. It isn't for the faint-hearted). 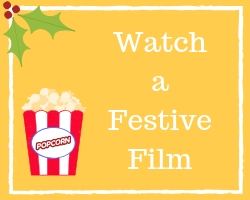 Who doesn't love a festive film? There are so many great ones and not nearly enough time to watch them all. 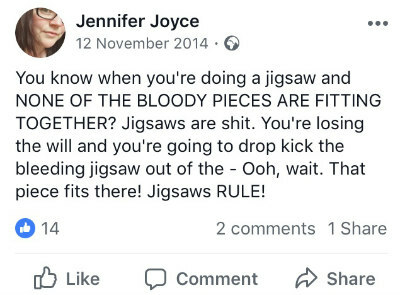 One of my absolute favourite Christmas activities is going to our local panto. It's loads of fun and everybody has a brilliant time. This year, we saw Cinderella and LOVED IT. 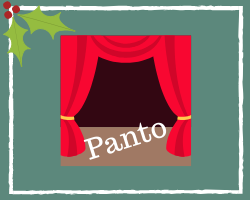 Have you/are you going to the panto this year? What did/are you going to see? Not an actual activity, but still fun. 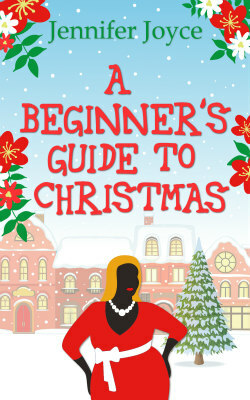 Plus, you can combine with other Christmassy things - going to panto: wear a Christmas jumper. Christmas party? Christmas jumper? 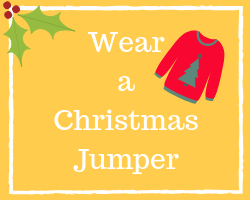 Watching a festive film - pop on a Crimbo jumper. 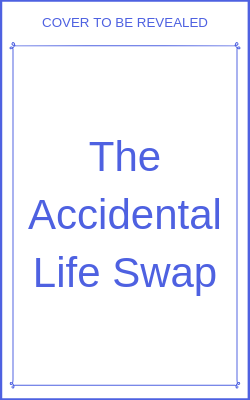 This one is great because it's absolutely free. 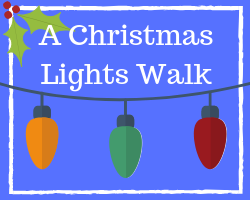 All you have to do is get bundled up and off you go to look at all the pretty lights people have put up to celebrate the season. We take the dog with us so she gets a nice big walk. 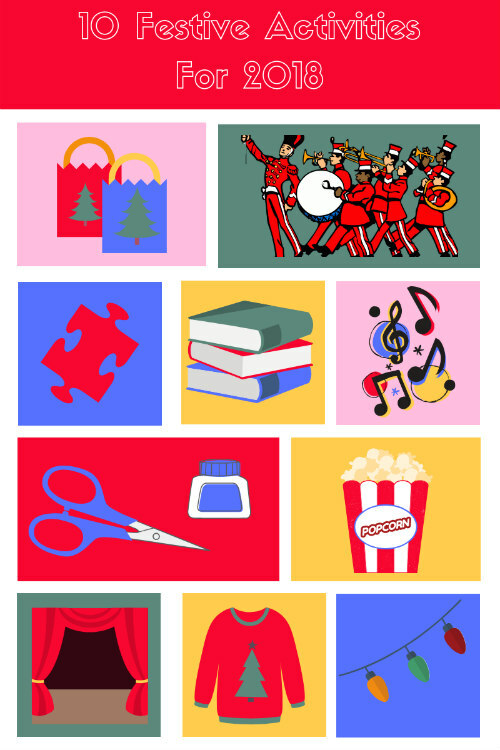 You can even fill a travel mug with hot chocolate to keep you warm, or make a list of things to spot on your travels (Santa, a train, candles etc).